And then there were four. The Las Vegas Summer League had all 30 teams participating for the first time in league history and 26 have seen their time in Sin City come to a close. The last teams standing include the only two unbeatens in Portland and the Lakers, a Grizzlies team with a summer-best six victories and a Cavaliers team beginning its post-LeBron era in impressive fashion. The final four means there are just three games remaining until we say goodbye to basketball until the fall, so don’t miss out on these spreads from 888sport. Here’s who we like in today’s semifinal action. No player in Las Vegas has been more impressive the past two weeks than Josh Hart, who is averaging a league-best 21.6 points on 47% shooting. He’s made 39% of his 3-point attempts and likely has the inside track on MVP honors, most recently dropping 18 points in a quarterfinal win over the Pistons in front of new teammate LeBron James. He’s really picked up the slack in place of first-round pick Moe Wagner, who’s been out the past week with a left knee bruise. Another rookie, Svi Mykuliak, has been equally impressive, averaging 15.0 points while knocking down nearly 39% of his triples. Alex Caruso has done a nice job distributing (5.4 assists per game) for a Lakers team that has won every game by at least nine points, and has an average margin of victory of 15.8 points. Even without Wagner there’s plenty of talent on the floor. 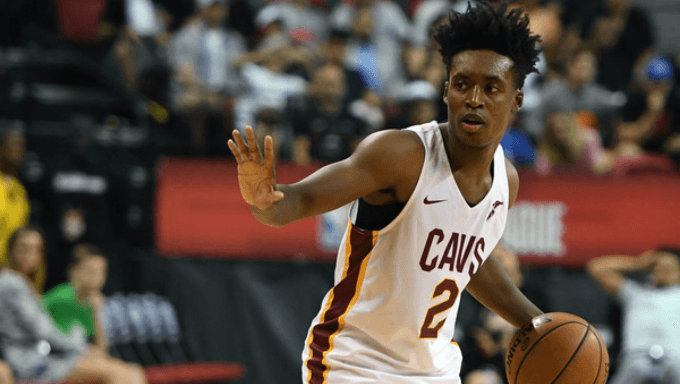 The Collin Sexton Experience shows no signs of slowing down. The eighth pick in the draft has averaged 18.3 points on 43% shooting. He’s doing this without Cedi Osman and Ante Zizic, a pair of NBA-experienced guys who Cleveland shut down early in the Summer League. Undrafted rookie Billy Preston has played well and John Holland has stepped up in a larger role. The Cavs have been solid, but this will be their third game in three nights; the Lakers played Sunday but had Saturday off, so they’re only looking at a back-to-back. Osman and Zizic haven’t been ruled out but it’s likely the Cavs have seen enough and want to give the younger guns a chance to keep rolling. Because of that we’ll give the nod to the new LeBrons in this one. The Lakers have been the most impressive offensive team in Vegas and have the likely MVP. That’ll be too much for Sexton to slow down. The beauty of the Summer League is we get to mention Wade Baldwin IV and a potential championship in the same sentence. The former Grizzlies first round pick will no doubt be playing with some added incentive against his old team, and he’s looked the part of a revenge tour thus far. He leads the NBA with 8.4 assists per game and has added 15.4 points on 54% shooting. He’s part of a really impressive backcourt that also features John Jenkins (25 points in a quarterfinal win over the Celtics), Gary Trent Jr. (8 of 17 from deep in his last three games) and first round pick Anfernee Simons. Add in the team’s leading scorer Jake Layman, Caleb Swanigan and Zach Collins and you’re looking at the most talented team in Las Vegas. It might not matter the way rookie Jaren Jackson Jr. is playing. He’s averaged 11.2 points, 8.3 rebounds and 3.8 blocks. Oh, and the 6-foot-11 center is making 40 percent of his 3-pointers in Las Vegas. The Memphis backcourt of Kobi Simmons and Wayne Selden will give Portland problems, but like the Cavaliers, the Grizzlies are also playing for the third straight night. That’s a lot for any team to take on this late in the Summer League, especially consider Memphis played three games in Utah before arriving in Sin City. Because of that, combined with the depth the Trail Blazers have at every position on the floor, Portland looks like the play. They’re 5-0 and have won four of those games by at least 15 points. Tonight will be closer but they’ll have enough room to cover against a tired Grizzlies squad.